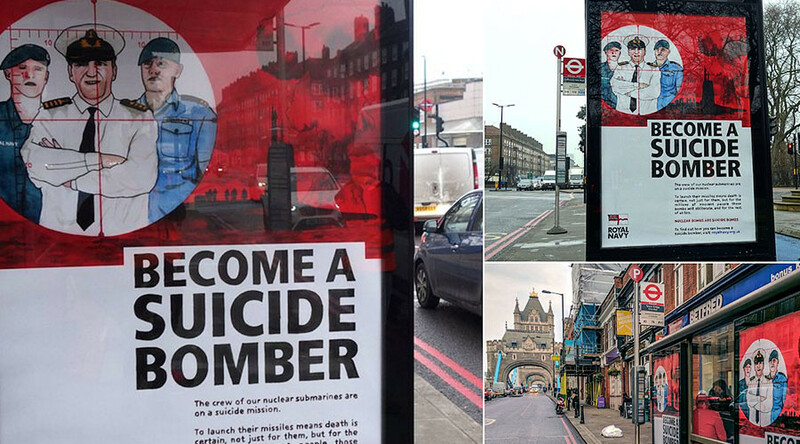 The posters point out that if a Trident submarine actually launched its nuclear missiles it would very likely be destroyed in a counterattack. 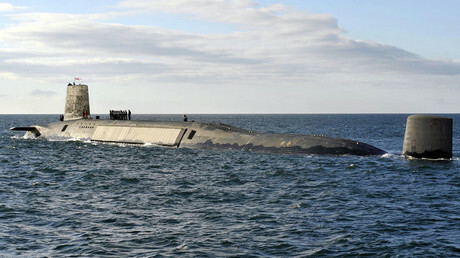 This, they claim, makes nuclear submariners little more than suicide bombers, whose job is to kill millions of civilians. The satirical posters have appeared at bus stops across London. His work has the endorsement of Veterans for Peace UK. However, former Royal Navy weapons engineer William McNeilly, who was kicked out of the Navy after handing WikiLeaks a dossier of serious security and safety failures in 2015, told RT the campaign’s message is accurate.